In the fast-paced world of modern business, communication is more important than ever before. Being able to connect with customers and clients all over the world at a moment's notice can make all the difference for a business, whether it’s large or small. No matter what size your company is, www.TWAcomm.com has a business telephone system that’s just right for you. For a big business with lots of employees the Plantronics CS55 Wireless Headset System can enable people to move around a large area, go from office to office or office to warehouse with no interruption in their ability to communicate. They can make and receive telephone calls from anywhere their job demands. Even a small business can have the sophisticated telephone system of a big business. How about the Vertical SBX 3x8 Basic System with (4) 24 button digital telephone? Even the smallest business has hopes of growing and the upgrades in your phone system can be the best step for your communication needs. If your small business is looking for a big company style PBX system, how about the Vertical SBX 6x16 Basic System with 3x8 Expansion Board, In-skin Voicemail and (8) 24 button digital telephone? It’s easy to use, affordable and a great upgrade for your business communication system. 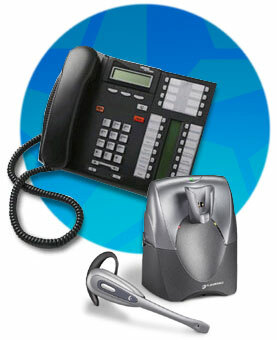 For executives and professional managers, you can find the Nortel T7316 Enhanced Multi-function Speakerphone with display at www.TWAcomm.com. If your business is growing, it has all the features you’ll need with a telephone system. Do you need to make lots of conference calls? We have the telephone equipment you’ll need, just check the catalog for product descriptions, photographs and pricing. If your business requires hours of telephone time every day, you can’t beat the VXI Blue Parrot B200 Bluetooth Wireless Headset! Imagine being able to be not only hands-free while you’re talking but able to move as far away from the base as you need to! No longer are you or your employees chained to a desk or a limited space while taking care of your telephone business needs. You’ll be amazed at how easy and affordable it can be to upgrade your business telephone system at www.TWAcomm.com. It’s as simple as using your office computer to visit our website! Check out the possibilities we have to offer. Decide which ones are right for you and your business. Then just point, click and buy. You don’t have to take away from business time to go to a store and wait in line. All the information you require is right there on your computer screen, allowing you to make the best business decisions and choose the right system for your growing business needs. Why not go to www.TWAcomm.com and see what we have to offer? Buying online can save you valuable time and money while solving all your business telephone needs. As your business grows and expands, so do your telephone needs.